Among the dozens of allegedly looted antiquities that the government of Turkey is asking American museums to return are ten objects at the J. Paul Getty Museum. The Getty declined to provide a list of the objects in question, as did the Met, the Cleveland Museum and Harvard’s Dumbarton Oaks. We obtained a list from Turkish authorities and asked the Getty to provide the collecting history for those objects. Unlike those other museums, the Getty is obligated by its 2006 acquisition policy to provide the public with provenance information about objects in the collection. Thanks to that policy, we now know something about how the contested objects came to the Getty. 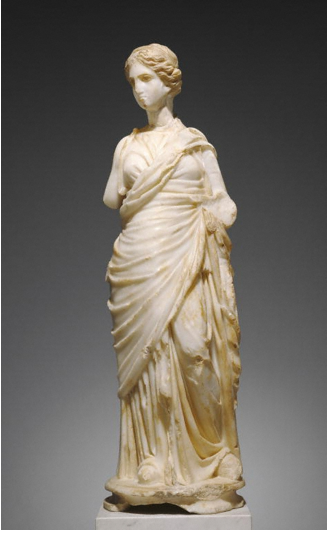 The most prominent are four marble Muses now on display in the Getty Villa’s Basilica Room. 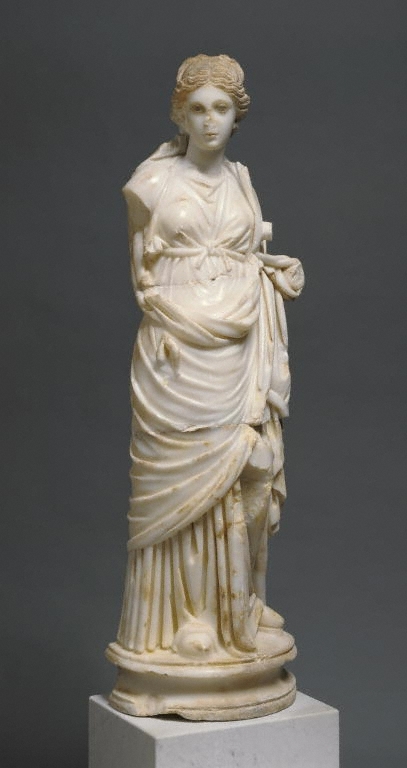 All four appear to come from Cremna, Turkey and were first acquired by antiquities dealer Elie Borowski sometime before 1968, the Getty records show. Borowski, who died in 2003, had ties to the illicit antiquities trade. His name appears in Robert Hecht’s memoir as a client of convicted antiquities dealer Giacomo Medici; it also appears on a handwritten organization chart of the illicit trade seized by Italian authorities in 2001. Former Getty antiquities curator Marion True told Italian authorities that Borowski had also been a client of Gianfranco Becchina, the Sicilian antiquities dealer (also named on the org chart) who is on trial in Italy. Several other Getty objects sought by Turkey came through another dealer connected to the illicit trade: Nicolas Koutoulakis, now deceased owner of the Paris gallery Segredakis. Koutoulaksi also appears in the org chart and last September, the Getty returned to Greece fragments of a grave stone it had acquired from Koutoulakis after scholars concluded they adjoined an object now in a Greek museum. Bronze bust. (71.AB.458) Purchased in 1971 for $90,000 from Nicolas Koutoulakis. Bronze bed (82.AC.94) purchased for $150,000 from Nicolas Koutoulakis; Koutoulakis purchased from Gilette’s estate; Joseph Gilette of Lausanne, ca 1936. Roman Eagle (72.AB.151) purchased in 1972 for $200,000 from French & Company. Bronze bust of Lucius Veres (73.AB.100) purchased in 1973 for $37,701 from Spink & Son, London.